MOSCOW (Sputnik) - The Kherson city court has extended the arrest of RIA Novosti Ukraine portal head Kirill Vyshinsky until December 28, lawyer Andriy Domansky told Sputnik. "The custody has been extended until December 28," Domansky said. On May 15, the Security Service of Ukraine (SBU) broke into the office of the RIA Novosti Ukraine portal in Kiev and detained Vyshinsky on suspicion of supporting the self-proclaimed people's republics of Donetsk and Lugansk, as well as treason. On May 17, the court in Kherson ruled that Vyshinsky should be arrested for 60 days without bail. 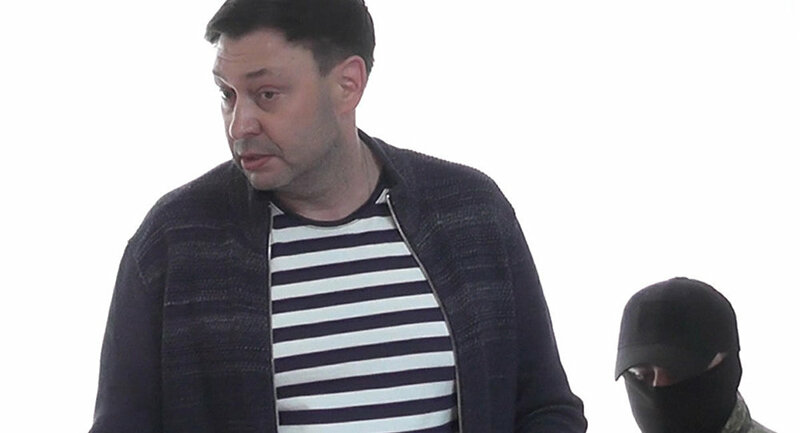 In May, Kirill Vyshinsky was transferred to the southern Ukrainian city of Kherson, where he was taken into custody by court order, which was later extended until November 4. The detention of Kirill Vyshinsky has prompted widespread criticism by journalists and rights groups, which said that such moves were unacceptable in a democratic society. Russian President Vladimir Putin has said that Vyshinsky's arrest was politically motivated, adding that the incident demonstrated an unprecedented and unacceptable policy of Ukrainian authorities targeting journalists who were just doing their jobs.